UNIQUE TECHNOLOGY: The design and manufacture of Corbin products is so unique that Mike Corbin himself holds more than 60 United States Patents! COMFORT CELL FOAM: The heart of the Corbin saddle! Our exclusive, purpose built foam material, called Comfort Cell, was created to provide a firm, resilient ride that doesn't break down. This means it will support you for long days on the road. Over time, Comfort Cell will break in to provide a personalized fit to your posture and even greater comfort! 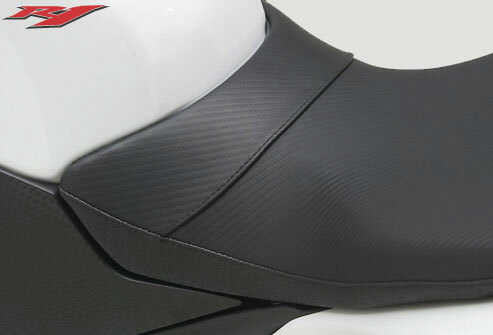 ERGONOMIC SHAPING: A major part of the design criteria of the Corbin saddle is the Ergonomic shape. 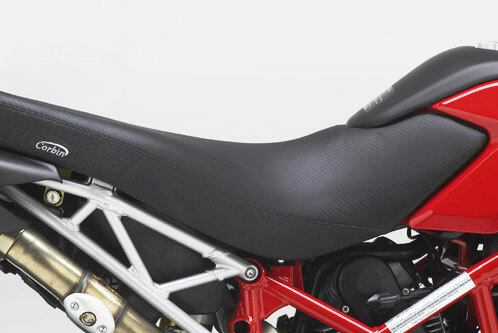 This means the saddle's foam shape is designed to emulate the curves of the human body. This provides more square inches of body contact and helps to eliminate hot spots. This shaping also neutralizes the seating platform to help curb sliding in the saddle which reduces fatigue. In a nutshell... more comfort for a longer ride! Can I order a saddle different from what is shown on the page? Absolutely YES! Corbin is a custom saddle manufacturer and virtually all of our products are made to order. We can offer you a variety of colors in styles ranging from flames to scollops or even just a tasteful welt. Can a saddle be modified to suit me? Yes, however the Corbin saddle is designed to work perfect for about 90% of the riding population. If there is any doubt, you can provide your height, weight and inseam to your sales representative and they will provide that information to the people making your saddle. 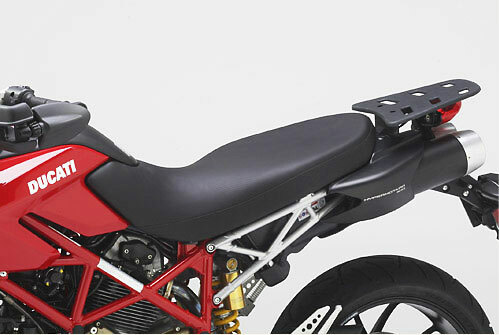 We strongly suggest that before any modifications are made, that you try riding our standard shape seat, that way, if modifications need to be made, we will have a point of reference. 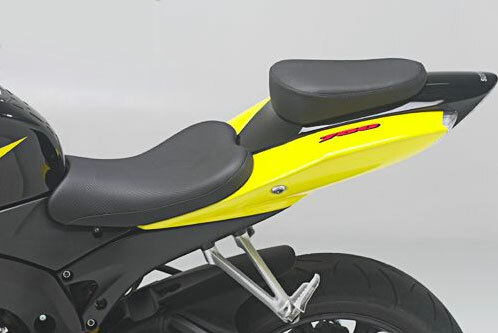 If you have to send a saddle back to us for modification, we will change the shape of your seat to your specification at no charge as long as we can put the same cover back onto the seat. If the changes are such that the cover cannot be reused, then we would have to charge for a new cover at cost. If I order a seat today, when can I expect to get it? If we don't have your saddle in stock, time in the shop can differ greatly depending on the season. During the "slow months" turn around time is roughly 2 weeks. During the peak spring and summer months this turn around can vary greatly. We will be happy to let you know what the current status is if you want to drop us an e-mail or call!